Women’s Marchers: What do you plan to do next? Did you attend one of the women’s marches around the world? We want to hear from you. The multitudes who participated in Saturday’s women’s marches all over the world had many reasons for doing so. For some, it was the next chapter in a lifetime of activism. Others had been stirred to action for the first time. It remains to be seen what will come next from this movement. 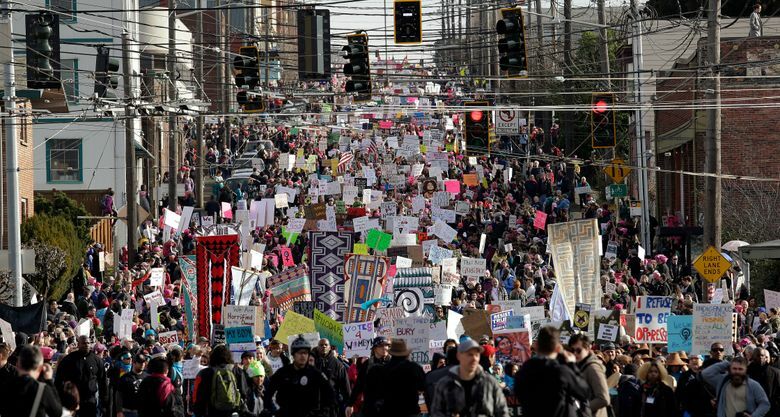 Seattle Times columnist Nicole Brodeur pointed to a few suggestions, including from organizers of Seattle’s massive Womxn’s March. So, we’d like to hear from you: What do you plan to do tomorrow? And tomorrow? What about tomorrow?